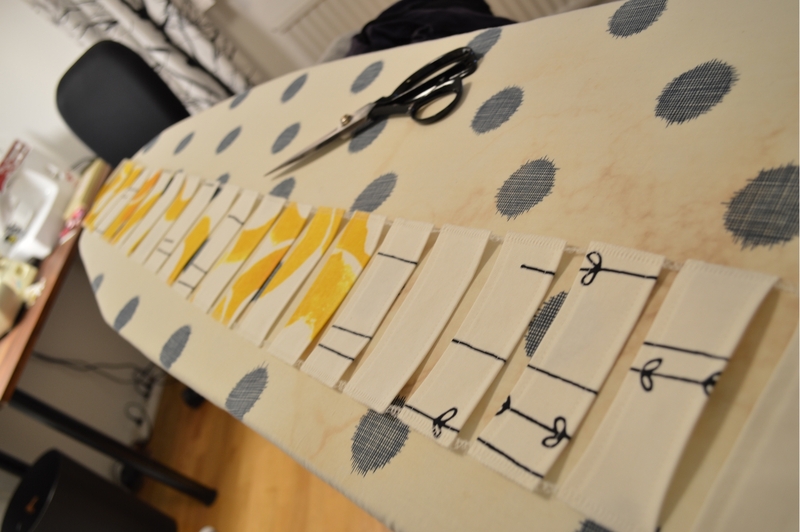 Do you sew each piece, cut the threads and then start the next? Then you’re not alone, that’s exactly what I’ve been doing for quite some time. If you instead of cutting the thread, continue with the next piece you’ll save both time and thread. After you’ve finish everything that can be chained together, cut the threads and tada! – finished! Chaining like a boss! Here with hanging straps for my new curtain. Categories: How-To | Tags: chaining, sewing | Permalink.